I love lattes at Starbucks. I mean, who doesn't? Well, my husband for one. He isn't much of a coffee drinker. I try to tell him that the lattes just taste like dessert, but somehow he can still taste the coffee. 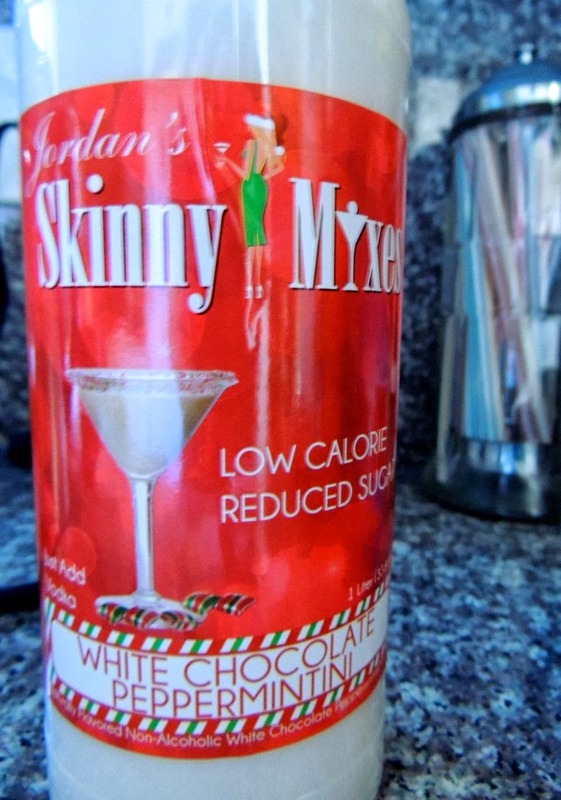 Have you heard of Jordan's Skinny Syrups? I hadn't until I was shopping at Homegoods this weekend. 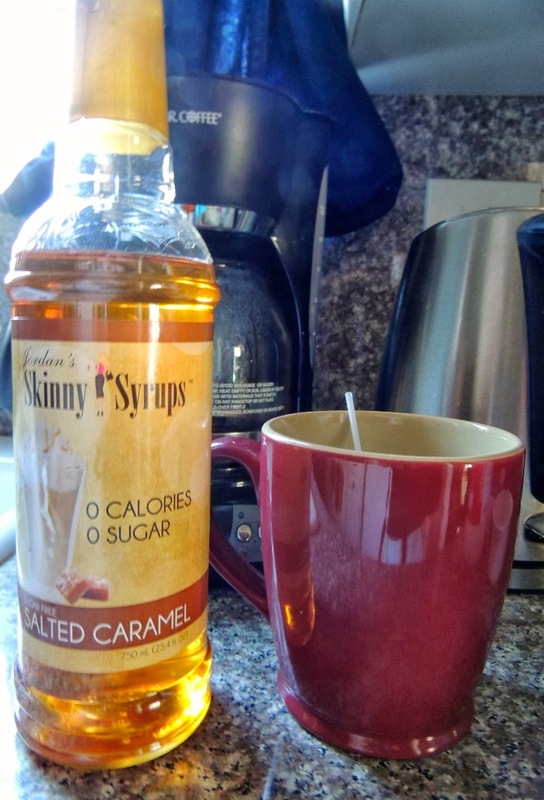 I snagged several of her zero calorie flavored syrups and low calorie drink mixers. I've bought sugar free vanilla syrup in the past, but somehow it never tasted as good as at Starbucks. This time was different. These syrups definitely don't taste calorie free or sugar free. I don't have an espresso machine, so I use drip coffee instead, which technically means I'm making a Café au Lait not a Latte. 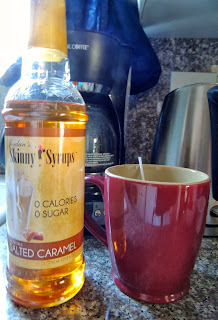 My Salted Caramel Café au Lait tasted so good that my husband drank two large mugs of it. Success! Mix all ingredients in your favorite cup. I just tried making café au lait with a syrup other than Jordan's, and it wasn't nearly as good. I had to add an extra tablespoon of syrup and a tablespoon of Splenda. 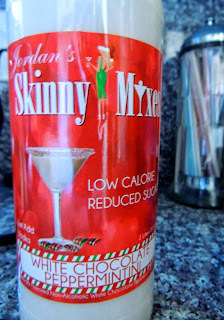 If you like your coffee sweet and want it to taste like a Starbucks latte, you've gotta find Jordan's Skinny Syrups. I'm excited to try the White Chocolate Peppermint Cocktail Mixer I bought too!